As impossible as it is for most of us to understand, there are some people who are not animal lovers, and there are people who do not like dogs. There are, appallingly, even some who actively set out to cause harm to dogs. In the last couple of years, the RSPCA has reported concerns over the swift rise in dog baiting. What is dog baiting? This disgraceful, malicious practice involves setting poison baits for dogs in an appealing treat (usually a neighbourhood dog) to find and eat. The dog will often ultimately die as a result. Most, but not all, cases of dog baiting arise following neighbourhood disputes over barking. It happens all over Australia, and it is an extremely painful way for a dog to die. While a few dogs that ingest bait do so accidentally (this writer remembers a childhood neighbourhood dog that ate snail baits set in another neighbour’s yard and died as a result), most dog baiting occurrences are targeted and intentional. Traditionally, baits are set using rat poison however multiple toxins are being used in recent cases, including recreational drugs used by humans. Some may even have sharp objects like pins or razors placed in them. Baits may be set in the dog’s own yard, thrown over a fence, at dog parks, and out along walks. People who set baits may be targeting a particular dog or, perhaps even more disturbingly, random dogs for no other reason than to create pain, suffering, and chaos for dogs and their owners. Baits are wrapped in food to appeal to the dog and to hide the smell and taste of the poison; they may be found wrapped in meat or mince or in other edible items including lollies. Snail and rat baits are often used. These are often red, green or blue in colour. 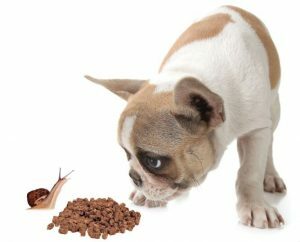 The ingredients in snail and rodent baits are all toxic to all animals. Rat baits work by stopping blood from clotting, and also affecting the kidneys and nervous system. Snail baits impact most on the nervous system. Get your dog to the vet or emergency after-hours animal hospital immediately. The sooner treatment is commenced, the better the chances for your dog to recover with a better outcome. Depending on the type of bait ingested (determined with blood testing and symptom assessment), treatment may include fluid therapy, oxygen, induced vomiting, blood or plasma transfusion, anti-seizure drugs, Vitamin K, and supportive care in the hospital. Be alert but not alarmed!